Profile of the victim : Parveen 19, was the resident of (Jatland) Bagpat in UP. She was in love with a boy of other caste in her neighbourhood. 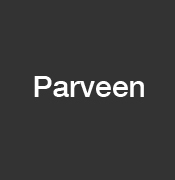 Assassination : According to police sources, Parveen was having an affair with a youth, who lived just across her house. Dilshad resented their relationship and had warned Parveen against meeting her lover. However, the girl continued her affair with the man and the two had ran away a few days back only to return home on Tuesday after spending some days together, sources said. Apparently enraged over his sister’s elopement, Dilshad shot Parveen at his residence on Wednesday afternoon killing her on the spot, reports said. He later managed to run away from the place.